All you need is a PC/Laptop or an iPad in each store - Our Point Of Sale Software works on all platforms through any browser which makes Primaseller really easy to understand and helps you print receipts and barcodes instantly. 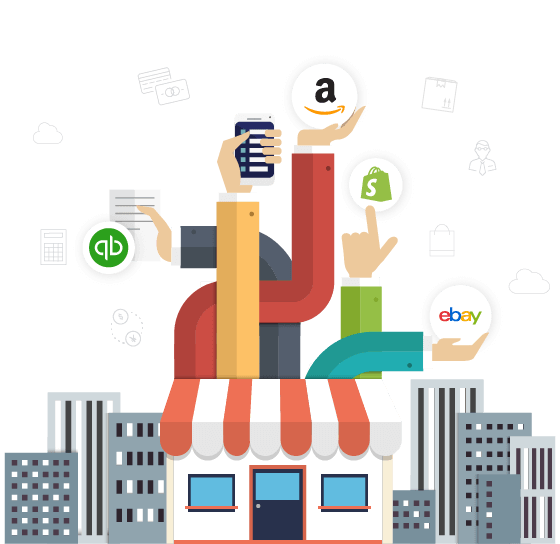 Use our retail inventory management software to sync inventory at your POS Store with online channels of sale, including your web stores based on WooCommerce, BigCommerce, Shopify, Magento, and online marketplaces like Amazon, eBay and Etsy. Got a chain of stores? 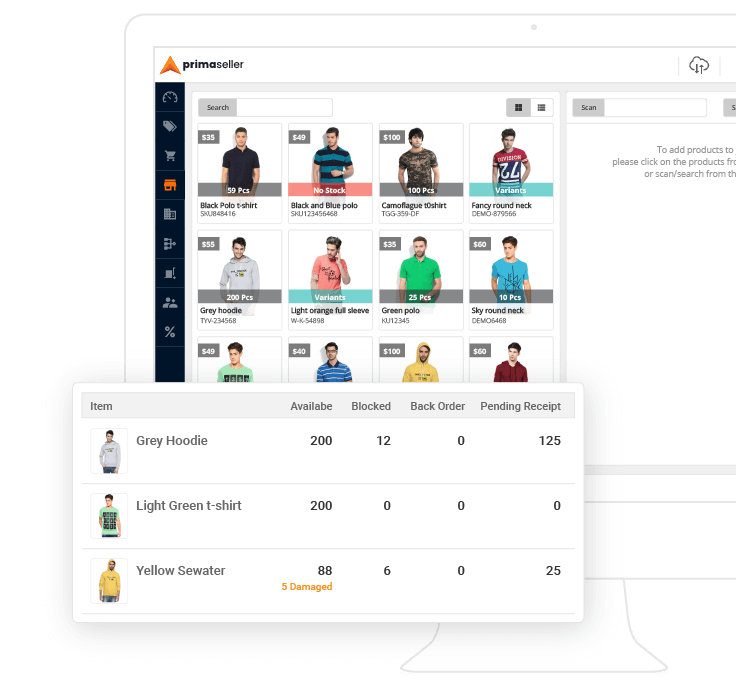 Primaseller's cloud-based POS Software is equipped to sync inventory at multiple retail stores at different locations. Maintain a single, centralized catalogue for SKUs across all your channels. Also, have great clarity of the available inventory at each channel. You also have the flexibility of a different pricing per store. Store your customer's contact information in our cloud-based POS software and use it for targeted promotions for your retail business later. 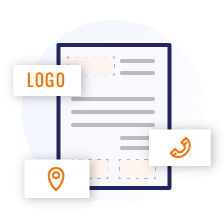 Choose your own invoice template from our POS or customize it with additional details like your logo, brand, and contact information. Also, choose to print or email the invoice. 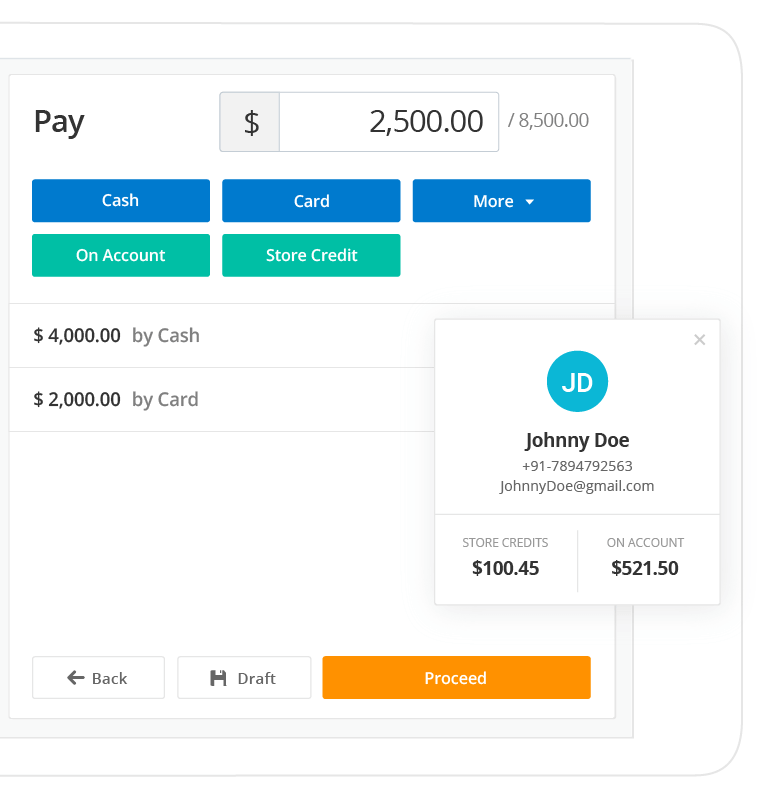 Send your invoices with a payment link to your customers anywhere in the world and get paid instantly! Improve your working capital cycles with fast remittances from our integration partners Stripe and Square - global leaders in digital payments. Sell now and track how much each customer owes you while you handle on-account Payments within Primaseller. Configure your standard credit period to identify overdue payments. 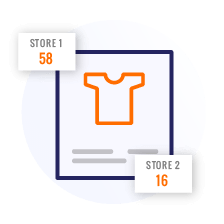 Retain more customers by offering store credits on returns and use them for exchanges. Sync these store credits with your Quickbooks Online account as well. Generate barcodes using our retail POS software and easily add products to sales or purchase orders by scanning them. Print barcodes based on your requirements from the list of barcode templates we provide. 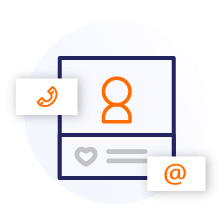 Set permissions for your employees and easily assign sales to different sales reps. Define the degrees of permission you want for every store and register for better control of your team and processes. Make transactions in any currency from your retail store. Accept payments in any currency from your online sales channels across the world. 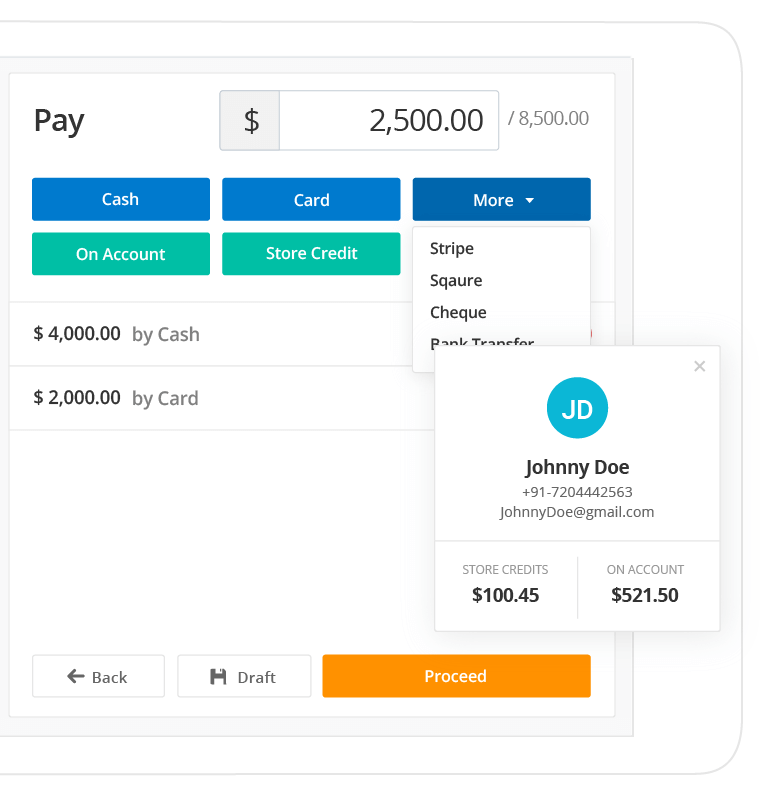 Your store billing and invoicing can be managed across registers from a unified software that keeps track of sales representatives at each cash counter. Easily handle taxes for different categories of products pertaining to the corresponding country or city. Set taxes either while listing the product/SKU, or while generating the invoice. Easy recording and tracking of returned goods from your customers. Generate the updated invoice indicating the returned product and get updated inventory instantly. Process refunds for payments made on the order.